Discoverability is a tech buzzword that indicates how likely someone is to find your product. It’s important on Steam, where indie developers are constantly under pressure to get their product’s name in front of players’ eyes. The stakes involved, and the fact that Valve has largely automated the process, has led to some pretty weird outcomes, as one indie developer learned this past week. Prismata, an Early Access deck-building RTS by rookie developer Lunarch Studios, hurtled to the top five of Steam’s concurrent player charts recently, taking the developer completely by surprise. Here’s what happened. In the last month, Lunarch Studios has done what a lot of indie developers do to attract interest to their game: gave out free keys. The team also ran a free weekend, letting anyone who played their game keep it forever. If you’re not a robot, then feel free to check out our list of the best free games available on Steam. Prismata is an interesting little game, but one that’s hard to classify – it’s a card game with hints of Magic: The Gathering and Hearthstone, but it also has a lot of RTS in it. Like a lot of small games, it also has its own dedicated community of players, but it’s very much an in-development and niche title. The developer intends to offer it as free-to-play, but buying into Early Access normally costs $24.99. 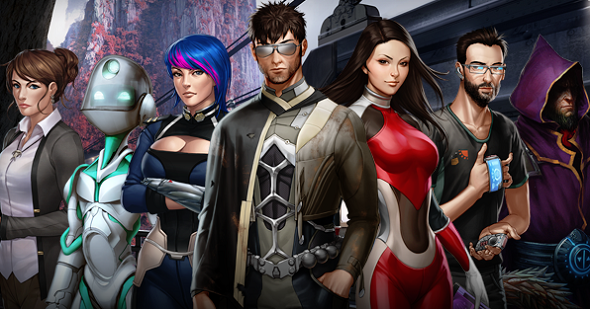 Last week, Prismata blew up, rocketing to fourth place on Steam’s players chart with more than 120,000 concurrent players at one point. “We were totally floored,” studio founder Elyot Grant writes in a Reddit post about the phenomenon. While this is the kind of news any indie developer dreams of, Grant felt something was off. It didn’t make sense that an indie game in Early Access was storming the Steam charts. He decided to investigate, and he found that the numbers Steam was reporting weren’t based on real people playing his game. You can read his full explanation here, and it’s worth checking out. It turns out that a key giveaway Lunarch had run wound up attracting the attention of Steam card farming bots – automated programs that snap up free keys and then spoof Steam to make it look as though they’re playing the game in order to earn Steam trading cards for the title. They then sell these on the Steam Marketplace for a few cents each. Grant noted that both Twitch and Discord blocked his attempts to run key giveaways by marking them as spam. Frustrated, his team dumped keys into a Google spreadsheet and offered access via Twitter to anyone who followed and retweeted. And that’s when the bots got involved. The offer was retweeted more than 3,000 times and Grant says he was inundated with requests for access to the Google Doc. “At this point, it was Friday morning and we were exasperated. We had promised keys to thousands of people and had no way of providing them,” he writes. In his Reddit post, Grant explains that Steam trading cards usually require you to spend money. You either have to purchase a paid-for game, or in the case of free-to-play games, buy some in-game item via microtransaction. 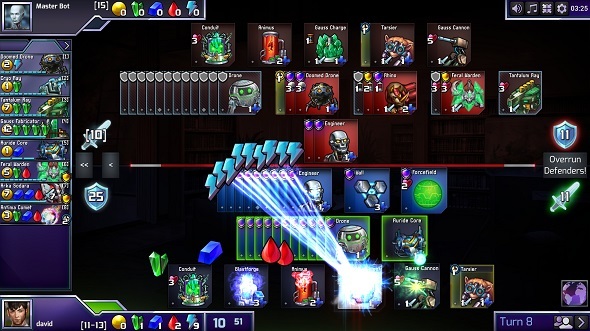 But due to how Steam had marked Prismata’s free weekend – as a three-day sale at a 100% discount – the trading cards were available to everyone who launched the game. “As it turns out, there are a number of sketchy programs that ‘spoof’ playing the game to Steam without ever downloading or installing it, and most of the 120,000 players were using these programs,” Grant writes. These were mostly Russian accounts. While it was no doubt disappointing for Lunarch to learn that their rise to sudden Steam fame was artificial, the upshot has been a net positive for the studio. Grant says the incident has netted them 20,000 new “legit” players, and the prominent placement on Steam’s charts has drawn media attention. Lunarch also earn a small commission on every trading card transaction made on Steam. Lunarch’s experience with bot-driven Steam fame isn’t typical, but it does highlight some of the weaknesses in an automated curation system. Valve’s hands off approach may be designed to remove human bias and make the process scalable, but as any good sci-fi fan knows, tech-based solutions often have unintended effects.